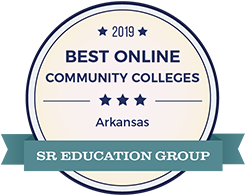 Arkansas Northeastern College was named the Best Online Community College in the state of Arkansas by the SR Education Group. ANC ranked #1 in Arkansas! Arkansas Northeastern College has been ranked to have the #25 online education & teaching degrees in the nation! 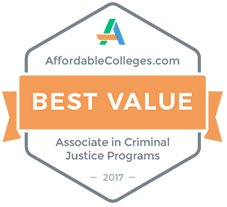 This is the second year in a row that we've been ranked nationally in this category. ANC ranked #25 in the United States! 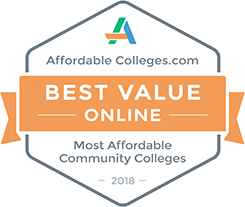 Arkansas Northeastern College has been ranked to have the best 2-year online college in Arkansas for 2 years in a row! Arkansas Northeastern College has been ranked to have the most affordable associate degrees in Arkansas and #15 in the nation! #15 in the United States! Arkansas Northeastern College has been ranked the most affordable community college in Arkansas and #17 in the nation! #17 in the United States! Arkansas Northeastern College's Associate Degree Criminal Justice programs were ranked as the best value in the state of Arkansas and 6th in the nation! #6 in the United States! 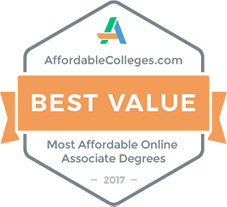 We knew we were the most affordable college in Arkansas, but apparently we're extremely affordable nationwide also. Arkansas Northeastern College's Online Associate Degrees were ranked as the best value in the state of Arkansas and #15 in the nation! 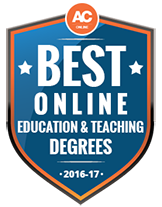 Arkansas Northeastern College's online education and teaching degrees were ranked #19 in the nation! That's big time! ANC ranked #19 in the United States! 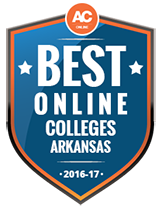 We were named the best two-year online college in Arkansas! We love it! General education is the broad knowledge, skills, and attitudes that all graduates of ANC should possess. For the AA Degree, all the general education core courses are approved for inclusion in the Arkansas Department of Higher Education's Course Transfer System (ACTS). ACTS provides information regarding the guaranteed transfer of courses between Arkansas public colleges and universities and is located on ADHE's website. ANC's Institutional (general education) Learning Outcomes, approved by the faculty, ANC Cabinet, and Board of Trustees, outlines these specific outcomes achieved by graduates through the completion of any associate's degree. View the institutional (general education) learning outcomes. The Associate of Arts Degree is designed for students who wish to complete the first two years of a baccalaureate degree and transfer to a senior institution. The Associate of Arts Degree requires successful completion of 60 credit hours with a minimum cumulative 2.00 GPA including the completion of the General Education Requirements. Students planning to complete graduation requirements at the end of any given semester will be required to file an application for graduation with the Registrar's Office no later than the end of the 6th week of that semester. * NOTE: Students must earn a "C" or better in English Composition I, English Composition II, and College Algebra to receive an Associate Degree from Arkansas Northeastern College. Rationale: General education skills in writing and mathematics will provide students with the competencies that are required in academic and professional careers. To write and read competently in a critical and organized manner are necessities in the world of college and work. To perform computations, reason logically, and think independently are also essential skills that will aid the student in every college or career endeavor. Students must earn a “C” or better in English Composition I, English Composition II, and College Algebra to receive a degree from ANC. Rationale: The Natural Sciences provide the opportunity for the development of independent, creative, and logical thinking while enhancing one’s understanding of the effects of the sciences upon the individual, society, and the environment. The information gained from studies in the biological and physical sciences is based upon ANC Catalog 2015-16 77 acute observations, experimentation, and arriving at logical conclusions. The decision-making processes that are used daily in coping with life in a modern society are basically those practiced in all science classes. The historical development of this logical process is an integral part of each science class and, as such, provides the individual with a foundation for continued personal growth. Rationale: The Humanities provide an integrated view of civilization and society. The universal aspects of human emotions, self-preservation, and self-identity are studied as they have been expressed through the arts to supply answers to the basic questions, “Who am I?” and “Why am I here?” Such study results in flexibility, tolerance, and acceptance of other points of view and allows students to see themselves and their time in perspective. The Humanities also develop appreciation for aesthetic and creative endeavors through active participation in the areas of art, music, and theatre. World Civilization (3 hours): Choose one. Social Science (6 hours): Choose two. Rationale: Speaking, listening, and interpreting competently are necessary skills for the successful communication of ideas. This course provides a firm knowledge of how people send, receive, and perceive messages in everyday life. Rationale: Physical fitness and recreation provide students the opportunity to understand and participate in physical fitness and health maintenance while exploring the lifelong leisure and recreational options. Such opportunities help develop lifelong attitudinal and recreational skills for maintaining physical and mental fitness. Rationale: This course provides the necessary survival skills for academic and career success as well as lifelong learning. The course enhances the learning, success, satisfaction, retention, and graduation of college students. AN, AR, BI, CH, EC, HI, HU, LA, MU, PH, PO, PS, PY, SO, SP, GE, TH All courses with these prefixes are applicable. EN Technical Communications may not be selected. All other EN courses are applicable. MA No Math Applications course not Math for Teachers I and II may be selected. All other MA courses are applicable. CJ Only CJ 15003 Intro to CJ is applicable. No other CJ courses may be selected. The Associate of General Studies Degree is designed to provide flexibility to students whose needs cannot be met by an existing degree. This program includes both fully transferrable courses as well as individual courses which may fulfill requirements for transfer toward a baccalaureate degree, direct employment, or educational enrichment. Students select an area of concentration based upon their interests: Pre-Allied Health, Fine Arts/Performing Arts, Humanities/Social Sciences, Math/Science, and Computer Technologies. Select courses, not already taken, from the following areas to fulfill requirements. Choose one area of concentration. This two-year Associate of Applied Science Degree in Criminal Justice is designed to prepare students, with or without experience, for entry-level jobs in criminal justice fields such as law enforcement, the court system, corrections, and security. The program combines a broad background of courses in the area of law enforcement, corrections, and criminal law with a sound liberal arts education. Employment opportunities for graduates are available in city, county, and state agencies, as well as private industry and the armed forces. Students pursuing this degree must satisfy all assessment remediation and prerequisite course requirements in addition to the courses listed below. The following sequencing of courses is recommended for full-time students who have completed all prerequisites. Many individuals, especially part-time students and those taking college preparatory courses, will require additional semesters of study. Consult with your advisor each semester to determine an appropriate schedule. The Associate of Science in Business Degree is designed for students who wish to complete the first two years of a business-related bachelor’s degree and then transfer to a four-year college or university. This degree program includes both general education courses and core business courses. The Associate of Science in Business Degree requires successful completion of 64 credit hours with a minimum cumulative grade point average of 2.0. Students pursuing this degree must satisfy all remediation and prerequisite course requirements in addition to the courses listed below. The following sequencing of courses is recommended for full-time students who have completed all prerequisites. Many individuals, especially part-time students and those taking college preparatory courses will require additional semesters of study. Consult with your advisor each semester to determine an appropriate schedule. This two-year Associate of Science Degree in Childhood Education is designed for the student who is interested in transferring to a senior institution and completing a Bachelor of Science in Elementary Education at the pre-school through sixth grade level. This program combines a broad background of courses in elementary education with a concentration in specific areas of emphasis in addition to a sound liberal arts education. This two-year Associate of Science Degree in Childhood Education is designed for the student who is interested in transferring to a senior institution and completing a Bachelor of Science in Middle Level Education. This program combines a broad background of courses in elementary education with a concentration in specific areas of emphasis in addition to a sound liberal arts education. This two-year Associate of Science Degree in Criminology is designed for the student interested in transferring to a senior institution and completing a Bachelor of Arts Degree in Criminology. The program combines a broad background of core Criminology courses with a sound liberal arts education. This degree may be used as the springboard for desired employment with federal law enforcement agencies such as the FBI, CIA, DEA, ATF or Federal Probation and Parole as well as pre-law or political ambitions. Students pursuing the AAS degree must satisfy all assessment, remediation, and prerequisite course requirements. The following sequencing of courses is recommended for full-time students who have completed all prerequisites. Many individuals, especially part-time students and those taking college preparatory courses, will require additional semesters of study. Consult with your advisor each semester to determine an appropriate schedule.